Volunteers to help clean up following the meal are needed. Ideally, the volunteer will arrive in time to eat a meal and then help the cook, Lora, and others clean up the kitchen and fellowship hall. This is an important community ministry. Consider volunteering your time. See Lora or Teddy to volunteer your time. Leading the oppressed people, Jeroboam responds at first as a kind of second Moses against a the pharoah-like Rehoboam. Rehoboam’s response to the people is to make their lives even more difficult. In the end, however, Jeroboam is more like Moses’ brother Aaron as he sets up worship centers in the northern part of the combined Israel-Judah kingdom, and provides golden calves for the people at each. 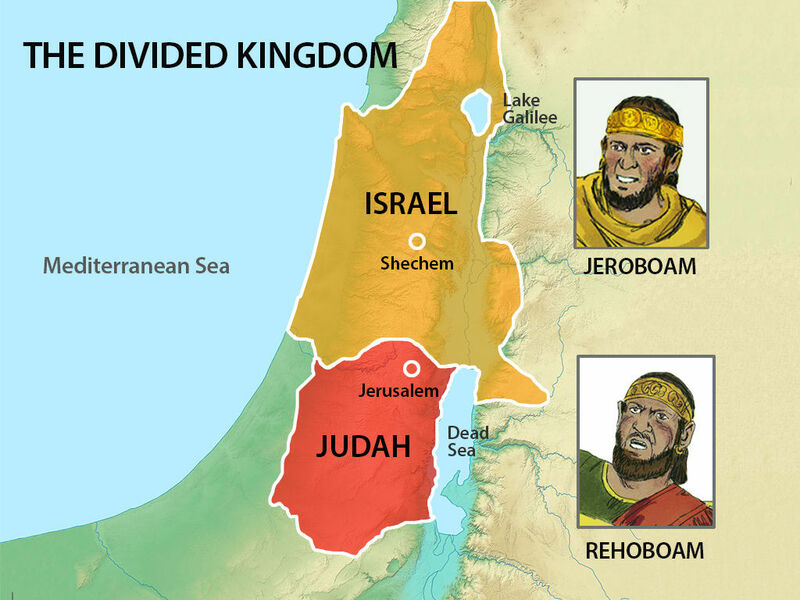 The result is the division of the unified Israel-Judah (the twelve tribes) that has lasted since David became king. In our scripture lesson for Sunday, Oct. 11 (Exodus 1:8-2:10, 3:1-5), a new Egyptian king or pharoah comes to power. This new king, without memory of the history of the peaceful relationship between the Hebrew people living in Egypt and the Egyptian people, fears the people who are different than he is. He fears their numerical growth. The king takes a sequence of actions against the Jewish people that are increasingly harsh. Hard labor becomes slavery becomes an attempt to kill boy infants at birth becomes an order to throw male children in the river. A parallel exists in our nation today as too many Christians stir up fear and hatred of our Muslim sisters and brothers. Politicians who should be leading us to our better selves instead encourage bigotry against Muslims. The latest actions against Muslims are a series of rallies planned and happening this weekend. Please join me in responding to those filled with anti-Muslim hatred with a reminder that we are all created in the image of God. Remember we share the same patriarch of faith: Abraham. See also: UCC General Minister and President the Rev. 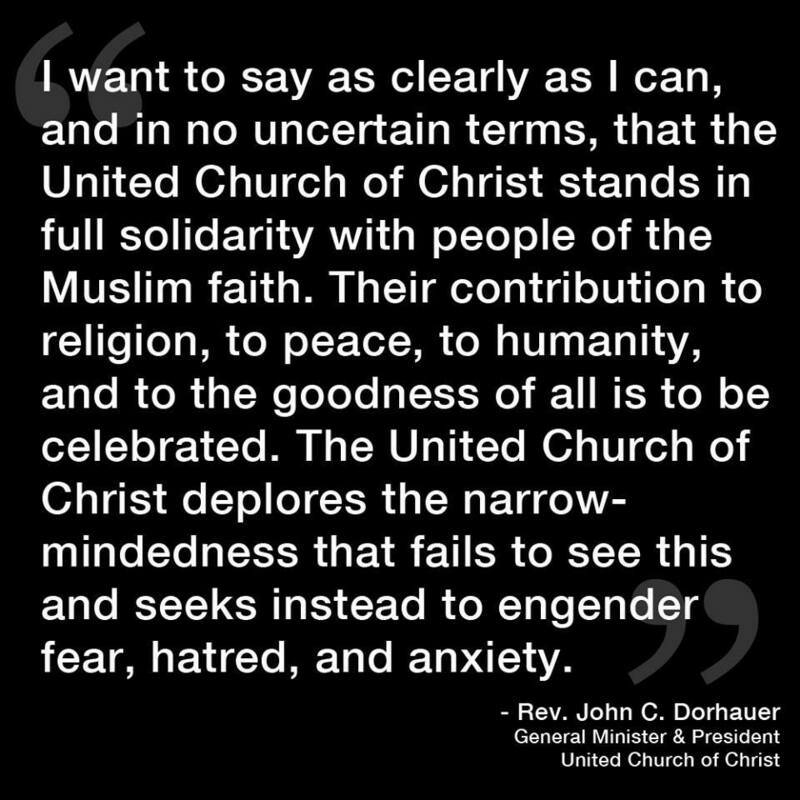 John C. Dorhauer, is issuing a call to local congregations to stand with our Muslim brothers and sisters in response to planned anti-Muslim rallies this weekend. Click here for more information. Our Central Pacific Conference Minister also sent out information regarding a response of love instead of hate. Click here for Walter John Boris’ message. 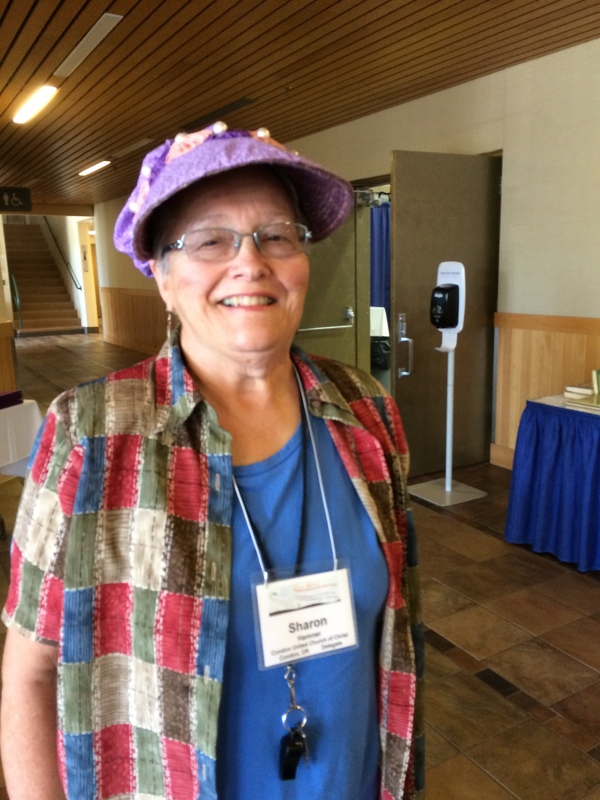 Freshly back from Pendleton, Sharon Hamner will share her experiences from the Annual Meeting of the Central Pacific Conference, United Church of Christ. “I’ve come alive!” she exclaimed. Sharon will deliver the message on Sunday including photos from the event. The theme of the event was Come Alive! 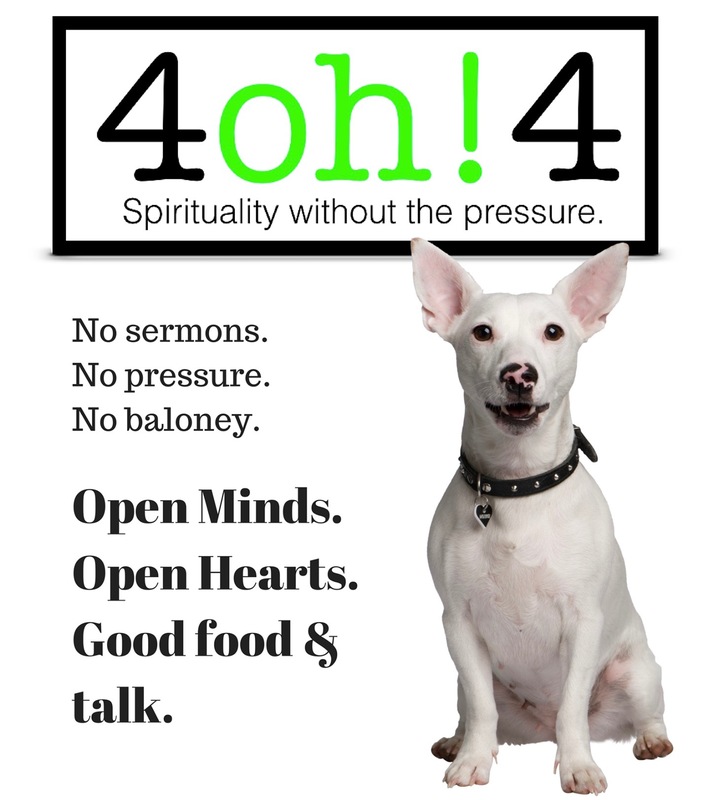 Passion & Vitality in the Local Church. The Rev. Cameron Trimble was the keynote speaker. Cameron asked, “What if every community with a UCC congregation was healthier than those without one?” She encouraged the gathered to dream on a scale worthy of our lives. Tweeting from the Annual Meeting, Maggie Sebastian paraphrased Cameron, “What if the United Church of Christ were the denomination of the 99%” Cameron reminded the group that getting a not-for-profit tax break comes with a responsibility. How are we reinvesting our tax break back into our communities? she asked. In addition to Sharon’s reflections, we will use the same communion litany used at Annual Meeting. We will also learn one of the songs sung at the meeting. You can listen to a version of the song we will learn below. The scripture text for Sunday is Philippians 2:1-12.